Nikestore.com has 25% off clearance with promo code COMPETE. 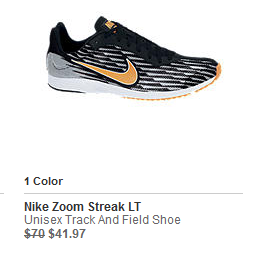 You can get the above-pictured Nike Zoom Streak LT for an additional savings of $10.49, making them just $31.48. Become a member of Nike Store and get FREE shipping! Plus, go through Shop at Home for 8% cash back! 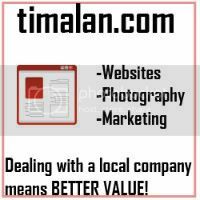 Thanks to reader Jennifer R for posting this!